Both establishment Democrats and Republicans are taking turns bashing her, but the Republicans went further than simply denouncing her with strident soundbites. They have conflated her with the terror attacks of September 11, 2001. 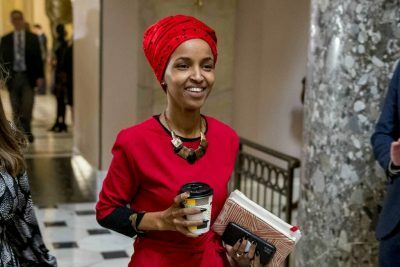 Meanwhile, the chairman of the House Foreign Affairs Committee demanded she apologize for a remark stating there are dual citizens in America doing the work of Israel. During the Bush regime, there were a number neocons holding dual US-Israel citizenship and they plotted a war that undeniably benefited Israel. These folks include Richard Perle, Paul Wolfowitz, “Scooter” Libby, and others. “I want to talk about the political influence in this country that says it is OK for people to push for allegiance to a foreign country,” Omar said during a town hall Wednesday. Fair enough question, right? Wrong. “Representative Omar’s comments leveled that charge by invoking a vile anti-Semitic slur,” complained New York Rep. Eliot Engel. Others see the over-the-top efforts to defame Omar and remove her from Congress as endangering her safety.